Several big industry groups have come out with guns blazing against the Environmental Protection Agency's draft plan to slash carbon emissions from the nation's coal-fired power plants. But some companies see opportunity in the regulation at the center of the White House climate-change agenda. Case in point: Opower, the software and data company that works with utilities to help customers save energy. Improving energy efficiency is among the major ways that EPA envisions states and power companies complying with the regulation. Opower CEO Daniel Yates is happy about what that could mean for his company. "These EPA guidelines will work their way through state governments over the next few years. This is just a first step, so there is no immediate impact on our business, but we expect it to be a powerful long-term driver for expansion of energy-efficiency policy and future opportunities," he told analysts on a conference call Tuesday, according to a transcript on the financial news website Seeking Alpha. The rule has some heavy-hitting opposition from such groups as the U.S. Chamber of Commerce and the National Association of Manufacturers. But the Opower executive's new comments underscore how EPA's proposal means very different things for different types of companies. 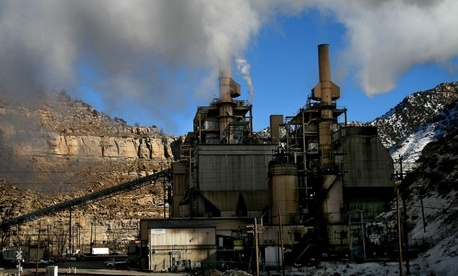 A parade of business and coal interests recently wrote a letter to EPA bashing the plan. Yet renewable-power interests are optimistic about the regulation that would push electricity production away from coal and toward cleaner-burning gas and renewables. The oil and gas industry's biggest trade group opposes the rule, but a separate group representing natural producers hasn't joined the attacks. And the electric power industry is far from monolithic. How individual companies generate power (coal, gas, renewables, and nuclear), in what proportion, and their investment strategies will help dictate how those companies fare under the plan. How individual states implement the rule will also matter. That variation is one reason why the Edison Electric Institute, which represents for-profit power companies, has issued only a rather neutral statement on the rule thus far. The draft rule that EPA unveiled in June seeks to cut overall emissions from the nation's power sector by 30 percent by 2030. Yates, the Opower chief, cautioned Tuesday that the company doesn't expect "immediate impacts." This reflects the fact that the earliest that states would have to submit compliance plans is mid-2016, and the emissions curbs are phased in over 15 years. "But we do feel really excited about its ability to expand efficiency, hopefully across every state in the country over the next several years," said Yates, whose company's paid advisory board includes former White House climate czar Carol Browner, GOP messaging guru Frank Luntz, and Jim Messina, who was President Obama's 2012 campaign manager.